Judging by the confirmations of participation that we have received so far, SuperWine 6.0 is promising to be yet another unforgettable wine spectacle. 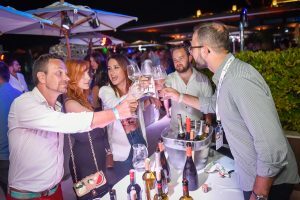 Mazzei, Mionetto, Vallformosa, Vinarija Zvonko Bogdan, Castel Savina, Kovačević, Lastar are just some of the wineries that have already confirmed their participation. We are particularly excited to announce that the upcoming SuperWine is attracting almost the same amount of interest from some of the renowned European houses and the ‘stars’ of the regional wine scene. The registration of the wineries is open until 24th May, and the comprehensive list of all the exhibitors will be published on 1st June, 2018.